North Texas were it's 102 degrees today and rising. into town and settled things down a bit. along the Santa Fe Trail which also started there. Oh, and the U.S. Postal Service also used the fort as it's base. few others but there were MANY. a nice spot for town so they started building there. the new railroad tracks and the city's boom was on. Dodge City after the fort. submission by taking away their main food and clothing source. all the Plains tribes and Dodge City so I wanted to include it. for no reason. Just a bunch of men getting drunk and fighting. disincentive for trouble makers to mix it up with. their own selfish desires. What good men were left quit in disgust. So things were falling apart again and order had to be established. discussed in the next post. your wife's hairdo was ever ruined by a ceiling fan! Thanks @janton, I'm quite a history buff and this is a subject that I know next to nothing about. I am really enjoying this series. Sounds like the template for our modern police force Haha. haha! great comments sir bobaphet! well sir, in the first atrocity concerning wiping out the noble buffalo, it did take away the food supply of the Indians and help to force them onto the reservations. the second observance you made is so brilliant because there are so many in law enforcement who joined because they like to order people around and take advantage of people and are easily corrupted and those are usually the mean, nasty ones so great point! I assume there are those types in police forces all over the world even in Australia? exactly sir bobaphet! and I don't know about there but over here it seems like every single politician is a dang lawyer and they all seem to be cut from the same cloth and attracts these arrogant, greedy, power-hungry SOBs. well not Trump I don't know what he's cut from! Yes, a huge percentage of our politicians are lawyers/liars. Good call. Holy cow about the buffalo. Again, why is this not taught! Informative wonderful post as always! The buffalo had a worse time of it than did the Indians. Their story is enough to make any feeling adult feel shame for our collective behavior! Hi @willymac, I am just amazed in the information age, how much we are uninformed. How can we progress from barbarity if we are not taught the mistakes of the past? We have to teach each other what we didn't learn in our indoctrination centers called school. The news of the carnage was so bad even for back then that the numbers in official reports to Washington would have a digit removed from the right side because the reviewer assumed it had been grossly exaggerated. In some cases, according to contemporary reports, that "correction" would be made yet again by someone higher up before passing it on to the top; reporting 1/100 of the actual reported number. It was that biggest slaughter of animals in human history. That was a true "disturbance in the Force." My two top losses are the burning of the Library of Alexandria, and the slaughter of the Bison. Wow. Thanks for the additional information. It nearly killed me seeing that photo @willymac! Such despicable behaviour; so sad. Hello, @lynncoyle1! Outdoor chores have consumed all my time for days and I have barely made a dent in what needs to be done! The winds last month left a lot of clean-up and that is slow going when it means picking things up one at a time, hauling them to a safe place and burning them. Cleaning one area around the gazebo meant picking up over 1,300 pine cones! When the heat index in 95 degrees, that wears me out! I have not touched the book I was writing before starting Steemit. The entry page needs a big WARNING! ENTERING HERE TRIGGERS ADDICTIVE BEHAVIOR! sign. I'm working on a companion to Sterling:For the Republic and that created another addictive behavior in me. Sterling is so real to me, I have problems separating some of the characters from actual people in my life and that reality from my "now" reality. My deepest everything to you and Brian. I have been embarrassingly absent but my life has been spent on the fringes of many things I cannot control because I can empathize there as well as anywhere else. Thank you for the "deepest everything" to Brian and I. I know exactly what that means coming from you, and it's a lot! Thanks for the update; happy to know you are doing well. When I was working on that book I had been in the fictional town all morning and it was getting very real in my head. I got up from the keypad for lunch and had a brief disorientation because the room was different from the one I remembered. After eating, I had to run an errand and turned in the wrong direction at the end of my driveway because that's the way it was in the story. Actually, it was a really cool feeling! I still have a weird feeling that if I go the the place, the little town will actually be there. Which reminds me of the dream where I took a wrong turn on a foggy night returning home and had car problems, got the car started again, and parked in front of The Hotel California! In the dream, I knew it was not real but I said nothing because who would ever get that opportunity again? If I really worked at it, I imagine I could get there mentally and stay. Not at the California; they ran out of wine - but MY town. Everything there is perfect and I like the people! Of course, their world is ending, so I might need a rewrite before I get too comfortable there. BTW, what has been your favorite writing adventure? Care to do a post about it? thank you @squirrelbait! yeah I guess the government wouldn't want that advertised, they massacred(well almost) a great and noble species to extinction in order to starve and subjugate many Indian nations. it's one of the few government programs that actually worked as planned. thank you for your kind words, I had to rush to get it out so I wasn't exactly thrilled with it but it's ok.
Oh I think it came out just fine and you're welcome! I took your advice by the way and started a weekly S.B. 's Rambles series ( article like posts) and a Bug Out Bits series of little tidbits of info or suggestions. I have several done so I don't feel pressured. Keeping it fun. These give a different format for info than videos as not everything is best done that way. All the other platforms I use are video only so only Steemit will have the additional stuff. I think it will round out my Steemit blog nicely. Thanks for your encouragement. I wouldn't have put as much thought into the idea without it. I'm not a writer but I think I can get the ideas across okay. Thanks again @janton for helping me grow out of my comfort zone. howdy again @squirrelbait! well, you are so welcome..since you are so relaxed on camera I didn't think you had any uncomfortable zones! I like that strategy though, that will work. you're moving up in rep steadily aren't you? I got a big upvote on my newest video. Very unexpected. That propelled my rep. That's good as I like to vote on other people's content. Too much as I can spend my SBD down quite a bit. It's strange. What I think is my best stuff tends to have the least votes. It's interesting. Meanwhile, I have more content coming. So much yet to do. You're doing well too. I'm always happy to see that as I know how much time and effort you're putting into it. These latest series of posts are just great. I like your writing style as well. Feels good to so your own thing your own way doesn't it? howdy today @squirrelbait! yes I saw that big upvote from Dtube! yeah, the people who do those videos seem to get on dtubes radar and after awhile every video is upvoted like that! that's how people are making the money on here..well except the giants. so I think you will be rising fast once they start voting you consistently. thanks for the encouragement, I'll keep plugging away. I don't think so but we'll see. It's more important that people watch them. You'll do fine it just takes time to grow. You are not offering fluff as content. It just takes time. I slowly pick up more followers as time goes by. Patience my friend. I found you so others will too and more people are signing up all the time. yes Ma'am I heard that several hundred a day are signing up so it's stil growing pretty well. ha! I don't put out fluff but I'm going to today because I'm so tired, not much sleep last night and it's hard to think very much. Thanks again for an interesting topic, Jonboy! Parties marauding around there attacking anything that moved basically.. because they were Pissed! I still cannot absorb how badly the story of the Wild West's settlement overlooks the plight of the Indians in that process of intended genocide! The history books just skimm lightly over the details of the losing side, but glorify the "great men" like Buffalo Bill, who was nothing but a killer of animals. Sorry, but all that imagery twanged a chord in me. 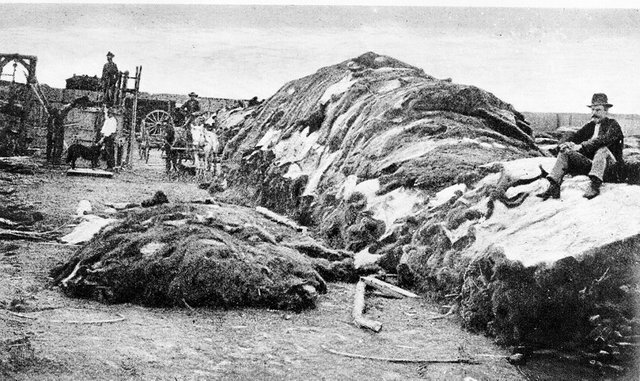 I truthfully don't know if killing the Indians for fun and profit bothers me the most, or if it was killing a few million Bison, paying the Indians with alcohol to collect the bones so they could be shipped back East to be used as fertilizer. Something about shooting into a massive herd of animals and leaving them dead and dying to rot for a year before harvesting their bones just doesn't strike me as a good thing. Good on you for the posting! If I lived nearby I'd love to join you at your favorite beer joint so I could tell you what is wrong with the way we did things back then! howdy there @willymac! yes sir I know. I pounded the government hard when I did my series on the Caddo Nation which lived right in my neighborhood for a THOUSAND years until the feds forced them off their ancestral lands. and that's why I wanted to let everyone know in this post what happened to the Indians food supply and what the feds did to the buffalo, because alot of people don't know and it's not in the history books. slaughtering the herds and leaving them to rot was disgusting. bytheway the bones were also used to make China as well as fertilizer. thank you sir for your kind words and I couldn't agree more about the way the feds made huge blunders over and over again. I'll take you up on that beer though if you're ever in the area! After reading that last night, I kept thinking about how a generally peaceful people who were tied ancestrally and emotionally to their land must have felt to have been forced off and moved somewhere alien to them and their beliefs. Like moving the Cherokee from the mountains of Appalachia to the flatlands of Oklahoma. That must have been horrible for them! History written by the losers would be a lot more enlightening. Yep, a Texas beer would be good! I always wanted to be a Texan! Okay @janton, I need to ask this - what is a sod? A first I thought it was a type! By the way, the starting of new towns in the west was indeed ruthless blood thirsty and dangerous. I feel very sorry for the Indians and the buffalo. howdy again @angiemitchell! yes Ma'am the slaughter of the huge buffalo herds were disgusting, they are a magnificent animal and of course the horrible treatment of the Indians was shameful, the government made hundreds of treaties with them over the years and every single one of them were broken by the government. both issues were handled horribly and never should have happened the way they did. Ok - interesting! Being partially underground may have been more protective agains an Indian attack? I say that there are people from those times who did the wrong thing with the Indians would be paying a lot of Karma in their future incarnated lives! yes Ma'am those homes were ugly but strong and the government policies which destroyed the Indian tribes made the federal government responsible for that whole shameful mess. they have apologized since then but haven't done much to help the nations. A great example of how not to do things! With thinking like that it is a miracle that natives survived and the buffalo didn't totally die out. howdy today @cecicastor! yes Ma'am it was..both the Indians and the buffalo barely survived! Sheridan was a savage...right up there with Sherman. Those Union generals...Yeck! Great history lesson here, Jon. I learned quite a bit! howdy there @mepatriot! well sir, were the Confederate Generals also savages? or just the Union? It seems like there are so many shameful things that they did. The Confederate Generals still lived largely by the Code of Chivalry we've been talking about. They NEVER mistreated civilians en masse the way the Union's thugs did. They didn't burn civilian home and cities. The Union was guilty of what even the modern Geneva Convention would call "war crimes" on many, many occasions. ok well that's depressing. no wonder a lot of Southerners still don't like yankees. Exactly. Surely you've read about "Sherman's March?" oh yeah, I know this was war and all but that was over the top cruelty! Yep. The Union is responsible for modern "all-out war," where innocent civilians are constant targets of the enemy. it's hard to believe that our own country did that against our own countrymen, and women. that part of the Civil War is shameful. 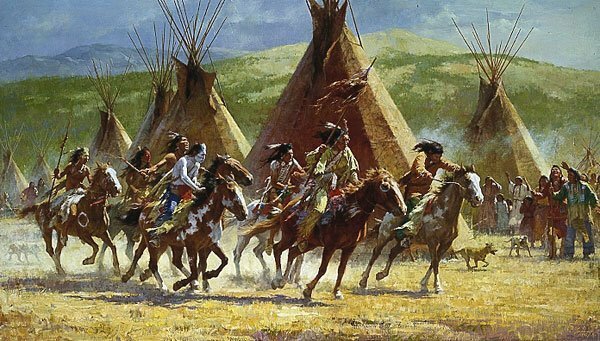 well written article, it goes to show how the romanticism of the wild west was a mirage. i have read louis lamour and Dodge City appears in quite a few of his books. Louis Lamour has some great books! thank you sir for your comment! Thanks for the post @janton! The treatment of the Natives and the buffalo just kills me .... so horrible. howdy there young filly! a little cowpoke talk there. the emphasis being on "young" not "filly" lol. well I got sidetracked on that point but I figured there may be people who have no idea what happened to the huge buffalo herds and why so I thought it was important to bring that truth out. I don't think they teach that in school. neither action was moral or acceptable, it was shameful and didn't have to happen that way. 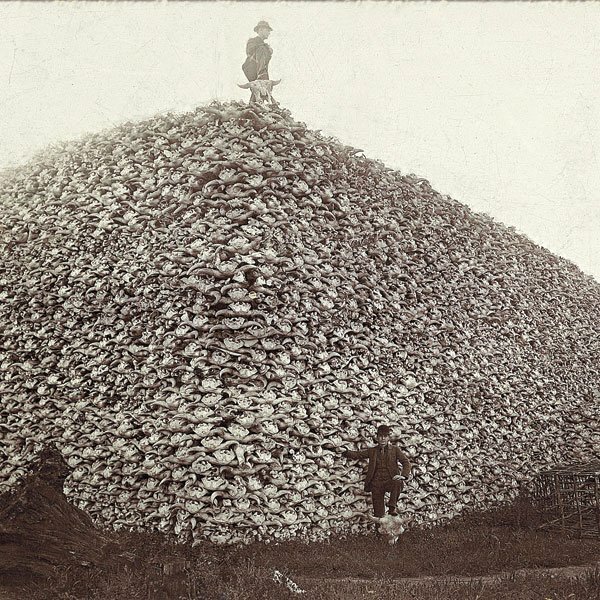 had you seen that photo of the giant pile of buffalo skulls before? that is mind-blowing. yes the Lawmen. those guys were tough now. they shot first and asked questions later! that one's for you. @janton I taught History as well, and it was always a part of our curriculum, although most of our isn't US based, But really, the same thing unfortunately happened in Canada. That pile of buffalo skulls was a new one to me. So sickening! howdy there @lynncoyle1! what???? you're saying that the Canadian government also paid hunters to wipe out buffalo up there so that the Indians up there had no food or hides? dang I didn't ever hear that? I don't even know what tribes Canadians had up there? had to be a little weird being the first Canadians though. huh, very interesting, thank you! I wanted to include that buffalo skulls photo because it is so incredible to see an illustration of the numbers of them that were killed. and many had never seen anything like it. Not specifically @janton, but the Hudson's Bay Company, the major trading company in Canada at the time, was closely tied to the government and they bought all the hides, and the skulls were used as fertilizer and all the new settlers wanted them. The natives ended up signing treaties just to ward off starvation. That's all a condensed simplified version of the history, but the gist of it is, that no one cared about the natives here either! More schools should be teaching this stuff; I'm surprised the schools in the States don't. You'd only have to show that photo to get the point across. A picture tells a story...that's for sure!! howdy back again lynncoyle1...well were there Indian wars in Canada like we had here? There sure were @janton, especially when they were being forced to leave their homes only to be 'contained' in certain areas/reservations etc. We had a 'wild west' of sorts, but it was always tamed because we had England's influence all the time too. what did England do to contain it? Lynn I need to ask you a question, are you around tonight? the day off? I thought Steemit was a 7 day a week thing? I didn't know we were allowed to take a day off! lol. I'm glad you're here, thank you. you're the most experienced person I know on Steemit so I wanted your opinion about something. I thought about resteeming it but my question to you is..would that be seen as arrogant or too self-promoting? because the thing is all about me which is crazy. but of course my earnings are next to nothing and I AM trying to grow and this would give me more exposure. so could you look at that post and let me know what you think? That's so nice of her too. I'm going to go check it out :) Congratulations for making the kind of difference where someone feels the need to write a post about it! Miss Lightweight..did you go to bed before you even got my reply? I think you said yes I'm hear how can I help you and then you went to bed immediately! hahaha.. you're the best I'm so thankful that you checked your replies, ok, I will resteem it. hey, do you know of any research that shows what's the best time to post or resteem for maximum exposure, it's hard to figure since so many are in other countries. Also, Jaynie invited me to join steemitbloggers but do you know where i find those banners to put at the bottom of the post? and also, what section in the discord group do I put proof that I upvoted and commented on a member's post? hahaha I think I did :) And I read the post; that was so nice of her to do! 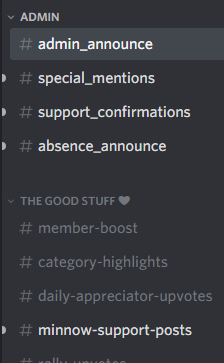 If you scroll up in "admin-announce", you'll find the information on the banners. And you just have to copy and paste it, but the instructions are there. Make sure when you post, one of your tags is #steemitbloggers too. As far as timing for posts, you got me! I try not to do it too late at night or mornings, but lots do. It's a crap shoot I think :) That's why joining some of these communities is such a good idea because there's a spot in all of them where you can share your post and a lot of people select their reading material from there. thanks Lynn for all this information and help. I upvoted a couple of steemitbloggers yesterday, at least, do I only put in ones that I do today? how often do you put these in, just one a day? Interesting stuff. Waiting for the next one. howdy there @oldtimer! thank you sir for the kind words! Hi @janton. I look forward to your posts as they are interesting and you are learning at the same time. Looking forward to when the lawmen arrive next. thank you sir! I know most of the material, just not the exact dates and some of the names. with Dodge it's easy because that's my hometown. I felt said looking at that pile of buffalo skins but a lot worse things have happened. The buffalo are finally coming back. For a cowboy who could barely get a dollar a day a buffalo skin was big money. yes sir, the bounty on buffalo was big money. But they made up for it with blankets covered in small pox! There was enough push back over some of this; they were disgusted about the treatment of the Indians, that they cut them some slack (NOT MUCH). So they did not wipe them out entirely, which was how this kind of stuff was normally done. That is where Oklahoma came from, LOL! I understand on the tongue, there is no better meat than the tongue! They are Hard to find, and Very expensive! eeewww you eat the tongue? I just don't like the sounds of that, call me a wimp. what do you mean "That is where Oklahoma came from" ? you mean because they set so much of the state up as Indian Territory? no you don't! you don't really have a dang tongue in your freezer! yes sir smithlabs I know most of the Indians are in Oklahoma. Yes, a Beef tongue! they are very expensive; and even harder to find! When they put them out, you have to BE THERE, or you won't get any. They put out ONE, I asked for more; and he said he wished he had a dozen! smithlabs! well I had no idea, this was a great lesson on tongue! everything sounds good except the tongue! I think that most colonised countries has a few nasty's they rather don't mention and without meaning to sound cold about it I think people need to understand that there are cultures that sometimes simply do not mix well. Having said that, If patience is practiced, people can at least learn to respect each other even if sharing space long term is not ideal. Maybe if the guys learned the respect thing early on, traded with each other and stuck to whatever trade agreements were made and abandoned greed things may have turned out a little different. Well, only my ideas. howdy @petesays! hahaha! I love that last line, that's great. sir petesays I've seen you around quite a bit writing very good comments but for some reason I don't think I've ever connected with you have we? and you are another South African! there are quite of few of you from down there here on Steemit, that's excellent. What part are you in and how is the stability there? Well thank you for your thoughtful comments, I agree with everything you said, I look back on things that have happened and think that this should never have happened and I do believe that most of the hideous conflicts could have been avoided. and the last part about not hanging a man for something that another man did 200 years ago is so true, we have groups demanding repayment from my generation and we had nothing to do with what their previous generations went through, kind of akin to what is happening now in your country? thanks again for your comment sir! thank you sir for getting back to me, I'm sorry to hear that. I know there is alot of corruption and strife going on there, it's sad to see. Maybe eventually you guys can vote in better people. Man it's violently unstable and the news groups are not allowed to air it, asif social media doesn't get the word out. Sadly the majority voters are brainwashed into believing that killing the white man is a good social sport and now there are threats of taking privately owned land without compensation which is going to open a whole new can of worms and will lead to unrest. No one I know will part with what they earned without there being hell to pay, that's apart from the fact that the banks will fold as no one will keep paying for what has been taken from them and the government is bankrupt so also can't settle the bill. oh my gosh @petesays..I have heard about the taking of white farmer's land in area's of South Africa but are you saying that now it's not only the farmer's? That is horrible enough but what if they start taking anyone's house that they want? And there's no changing the government any time soon because the one's in charge wouldn't leave, I'm sure. What is the "asif media"? I thought if the internet was available then news could get out through it? your country needs alot of prayer! so sorry to hear that but thanks for letting me know sir. It's a hostile dictatorship made up of greedy thugs man. Internet is fine, but they have tackled some people about what they put out on the net about goes on here as they say the truth is white propaganda and is lies made up by us to slander the government. It will get sticky for sure, but we pray that things will calm down. In the meanwhile it is about being armed, security conscious and networked as best you can. howdy today @petesays! well sir, I am truly sorry for this disgusting situation! have you thought about moving? Thank God that we won't see that kind of massacres anymore, though in a few countries, the buffaloes stack changing to human dead bodies in this modern world. huufftt... what a story. howdy back again @cicisaja! yes Ma'am the Wyatt Earp is the same one in many Westerns actually but the most recent movie is called Tombstone starring Kurt Russell. thank you so much cicisaja, it's good to hear from you! howdy back @cicisaja! yes Ma'am well some of the things portrayed in the Western movies are real but some are made up. For instance, two men going out into the street to face off and whoever is the fastest on the draw with his gun wins right? but there are no records of that exact scenario ever happening. If it did happen, it would have been all over the newspapers. But what about the bounty-hunter or wanted posters? Do you know the famous "Kelly" in Australia? What about Texas Rangers? Something like I watched in "Young Guns"? oh howdy back @cicisaja! yes there were bounty hunters and wanted posters. there were also gunslingers and gunfights and they just didn't go out into the middle of the street and see who was the quickest draw. the Texas Rangers! oh man, based right here in Texas, wait until I do posts about them! I don't know about Kelly in Australia, who is that? tell me so you can build your comments length! haha! Kelly is an outcast from England but then become the famous robber in Australia, I read a novel about him and also a movie, too much alike the wild wild west story in hollywood movie, except for they're not hunting for kangaroo or the aborigines😊 well... it is a mixed between true story and myths. I need to ask about it to the Australia historian, later. Back to your post.. I knew that the most thing unaccepted by my mind is that quickest draw, but here in Indonesia, in one tiny island that well known as the producer of sea salt called Madura, that kind of quickest draw is happened some times but not using gun as weapon, they use knife/celurit instead. The action knowns as "duel carok sampai mati" or to the death knife duel. howdy again @cicisaja! well well, this is indeed a pleasure to be able to talk with you so much in one day. that knife dueling sounds very fascinating! are there any youtube videos about that? and were the people throwing the knives? that sounds amazing, I want to find our more about it. yes, the Texas rangers series will be coming but they are not posted yet. you seem to know alot about the Old West, is it from Hollywood movies? and are most people that way in Indonesia? or is this just your interest? Hi there @janton , Another topic about which there is a lot to think about. thanks @hananali! well I get one right occasionally. ok I try. how's that? haha! I'm not a fan of mass slaughter of anything, regardless of the reason. That's my modern day sensibilities kicking in. We are so quick to assign today's values to yesterday's events, while we too will be judged for the things we do in our so called enlightenment. I'd like to think that if I were in Sheridan's shoes, or Sherman's, I'd find different ways to do things. I guess we can look back and say, never again, but we can't even accomplish that for things that took place nearly 17 years ago. well sir, I guess the slaughter of the buffalo was the most impactful part of the post and it certainly was a shameful thing. and many people didn't know about it and those photos of the hides and skulls were shocking, at least the skulls. at least to me. what are you saying took place 17 years ago? It is easy to look back and judge, it's hard to understand how some of these events happened because something like the killing of the buffalo would never happen today because of our modern communications network. thank you sir for your great comments. Yes, it is easy to look back and judge. I wonder what any one of us would have done, living in those times, with the backgrounds and raising we would have had. Sure, I would like to think that I could come up with a way for the plains tribes to stick around. In retrospect, there wasn't a need to run them off or kill them. They didn't really look at the land as theirs, either. They just didn't like the invaders coming in and doing all that they did. There could have been peace and harmony had more folks tried to understand the way of the tribes. But what's done is done. Can't go back. Can't change it. Can only hope not to repeat it, but unfortunately, we spend too much time pointing the finger at our forefathers, or at each other, and not enough self-introspection to do that. We find new and improved ways to kill animals and people. Sorry. I was referring to 9/11. howdy back sir Glen.." We find new and improved ways to kill animals and people." that sounds like we are one sick group! hey many of the Indians did consider the land theirs, like the great Caddo Nation which I did a long series on, they had been here, right here in my neighborhood, for a thousand years with permanent large mounds built all over as legacies, honors to their ancestors. But some of the tribes refused to go peacefully, they went to war everytime the stupid feds broke the treaty. The Caddo were one of the few who adapted ways of the whites and didn't fight back and they are probably the most successful nation today because they don't live in any kind of poverty unlike 95% of the other nations. but the other nations...it's pretty hard to deal with them in a peaceful way when they are out there murdering and attacking any white men they see and acted in ways that was incomprehensible to us. but ultimately I blame the feds for never making a single treaty which they did not break, not one. I believe it was Gods plan that we could mesh and co-exist. What a shame. I think this is not something to pride about. That's a lot of killing not just for the animals but for humans, too. Greed is greed and we keep repeating history. leeart! thanks for commenting it's good to see you here. I agree the killing of all the buffalo herds was shameful but how are we repeating history? the different wars going on? So very sad. 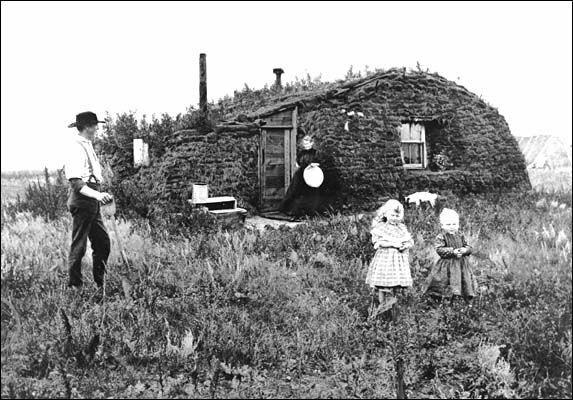 The Indians just wanted to live off the land...the govt still hates those who want to be self sufficient. howdy today @thefarmerswife! hey I never thought of it that way, the feds still hate self sufficient people! brilliant observation!